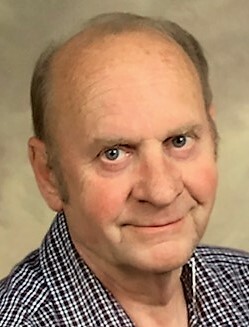 Lee Roy Corder Sr., 79, of Lore City, passed away Wednesday (February 6, 2019) at his home. He was born June 5, 1939 in Cumberland, KY and was the son of the late Robey and Clara (Hall) Corder. Mr. Corder retired from SEORMC in 2004 after 35 years of service as a Bio Med Technician. He was a member of Lore City United Methodist Church and a graduate of Cumberland High School. In addition to his parents Lee Roy was preceded in death by his wife, Mary (Mathews) Corder whom he married October 10, 1964 and passed away November 18, 2012. He is survived by three sons, Jeff Wagner, Lee (Carrie) Corder Jr., and David Corder; two granddaughters, Grace and Lilly Corder; two sisters, Margaret Corder and Brenda Eversole. Calling hours will be Sunday from 5-8 p.m. at Black-Epperson Funeral Home, Byesville where services will be 11:00 a.m. Monday with Rev. Clayton Coffey officiating. Burial will follow in Guernsey Memory Gardens. Memorial donations may be made in Lee Roy’s name to Hospice of Guernsey, P.O. Box 1165, Cambridge, Ohio 43725.